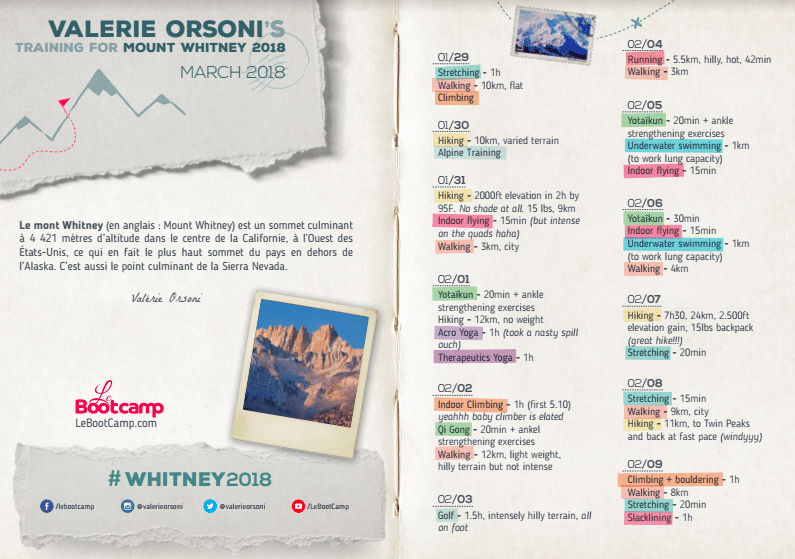 My 2018 Mountain Expedition – the full scoop! The time has come! 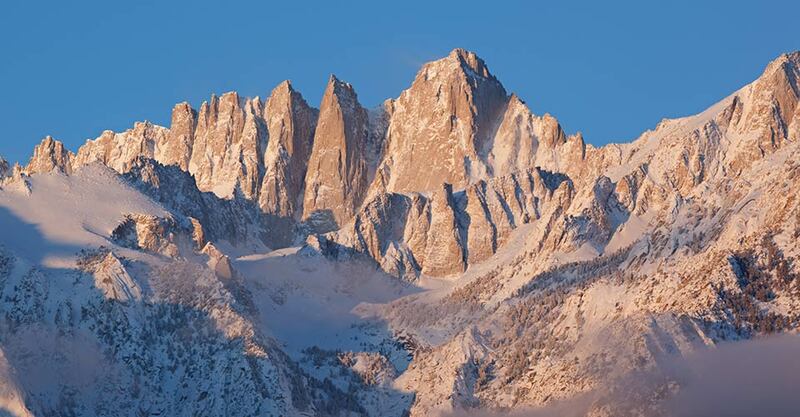 I am proud and a little nervous (I must admit) to tell you that on February 28th, I will embark on an exciting expedition to scale Mt Whitney via the Winter Mountaineer’s Route. 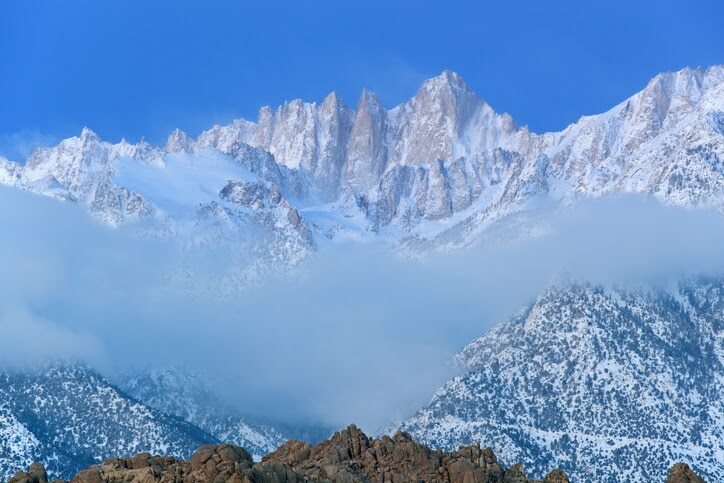 With a summit of 14,505 feet (4,421 meters), Mount Whitney is the highest peak in the state of California and in the Sierra Nevada, making it also the highest peak in the USA besides for Alaska. It owes its name to Californian geologist Joshua Whitney (there were some temporary names in the past, such as Fisherman’s Peak by the first who reached the summit, and even an attempt at Mount Churchill after World War II, but it seems Whitney has prevailed!). 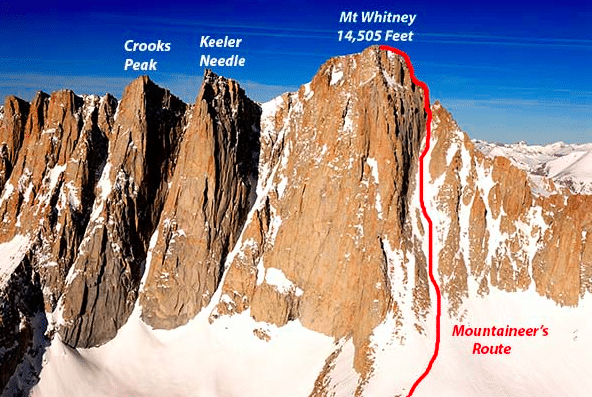 In the summer, anyone in good physical health (who doesn’t suffer from altitude sickness) can climb to the summit by a very well-marked, safe path known as the Mount Whitney Trail. This trail is extremely popular and can be used by as many as 19,000 hikers at a time. With such an influx, some parts of this hike are reminiscent of riding the subway at rush hour! To avoid problems associated with such large attendance, hikers are obligated to bring back all their waste with them: whether snack bar wrappers, or your own poop (for which they provide special waste kits)! (yay). If you are in better shape and well trained, forget about the Mount Whitney Trail and get on the Mountaineer’s Route or other alpine climbs which are more intense. You’ll need a helmet, ropes and harness, and your bare hands at times, but hey, the route is much less populated! I did it 18 months ago with my hubby. I had a pretty rough time, because 6 weeks previously I had injured my left ankle so badly that I had to do the climb with splints! But the seasons changed, and now I’m going to storm this mountain via the Mountaineer’s Route in winter! Some consider a climb in April as “winter” since there’s still snow out. Not me…I say winter = February. Yes, when it’s very cold, the snow’s still falling, and the wind is icy. In short, a genuine winter expedition. On the program: snowshoes for the first three days, then very special shoes to withstand the great cold, and spikes for the final assault. 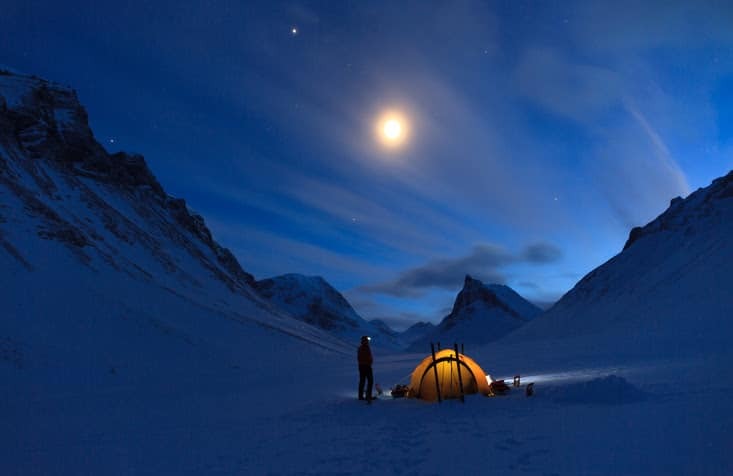 As far as sleep goes, I’ll have a tent in the snow. No bathroom to fix yourself up or go for a pee…yup, it’s an authentic adventure the way I like it (ps. you can pee in the tent, you just need to know the technique and have a pee funnel, but I’ll share that soon)! Have no fear though, I still plan to have my little beauty products (I always stash them at the bottom of my bag): homemade lip stick, and Clarins Serum 38 as well as La Roche-Posay’s super powerful medical sunscreen (it’s not so pretty on – very white – but apparently it protects the skin from extreme conditions). As far as crowds go, compared to 19,000 people climbing in summer, we’ve got less than 120 people climbing during the winter months (Dec-March), so no pushing or shoving for us! The dangers: Avalanches of course, but we greatly limit the risk by being well-guided and well-informed; falls, (though I admit that my smallest fear is of falling from a height, especially after last year when I fell on perfectly flat ground AFTER an ascent of 13,123 feet ;); frozen fingers and toes (you’ve got to be very, very well equipped for this – you certainly don’t dress at a discount when you climb. I trust in brands that have proven their worth: Scarpa, Mountain Hardware, Patagonia). Personally, I prefer to be clothed too much rather than too little, and when it’s generally -4 °F (-20 °C), it’s rarely too hot! 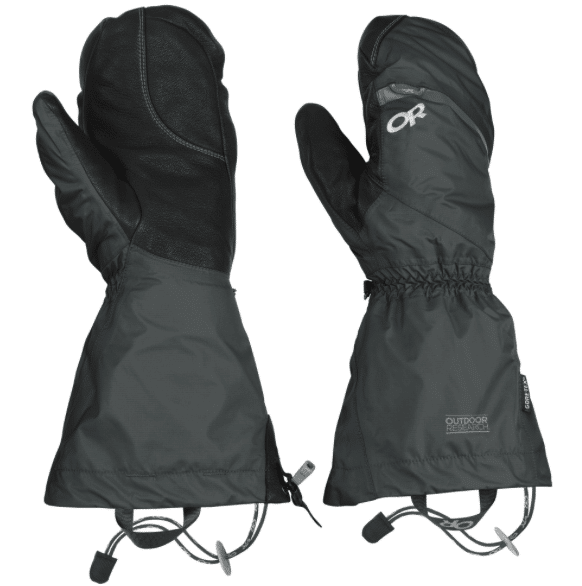 So even though I won’t be at an 8000-meter altitude, I bought gloves for 7000m + (Outdoor Research) because I am cautious. They are composed of 3 layers, so at worst, I’ll remove one! Better to have your fingers sweat a little, than to lose a few because of the cold! When it comes to shoes, it’s more complicated. I have small feet, and it looks like mountain gear manufacturers have forgotten that women also climb! So the choice is very limited…I can rarely find my size. As a result, I’m forced to buy men’s shoes. By an unexplainable mystery, I am a size 39 men’s in mountain shoes, and a 37 women’s in the city! 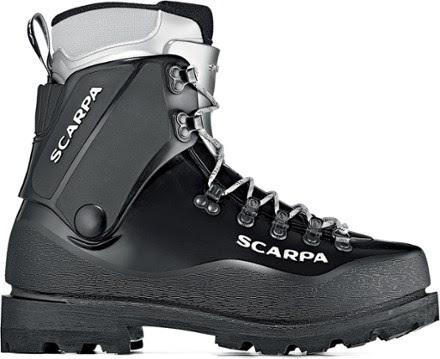 Here’s what my Scarpa Inverno boots will look like: plastic on the outside, soft on the inside. Not the most flexible, but super protective! On the workout side, I’ve been training for months now (for another summit which is even higher) and I’ve just restarted a workout sequence for that, so I should be good. 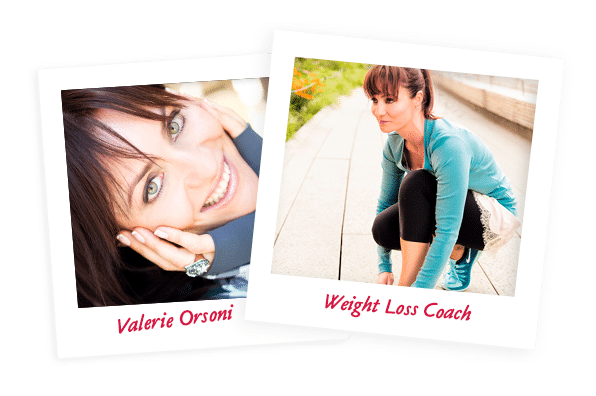 Below you can get a taste of my full fitness plan. And if you’re wondering why I’m doing this…why I’m going to suffer in the cold and snow, when I can visit Venice, Moscow, London, or relax on a beach on the other side of the world…well, it’s simple: I like to challenge myself. I like to show myself that I can go beyond my imagined limits. I like to see how good training and healthy nutrition can help me reach and surpass my goals, even the wildest of ones. How about you? What wild challenge are you taking on? Remember, in my world it’s not about good or not good: for people who have scaled an eight-thousander, climbing Mount Whitney in winter is a piece of cake; for others, it’s huge. To each his Everest, as I always say.